If you’re looking to add a touch of extra class to your wedding, these LOVE letters might just be the perfect choice! 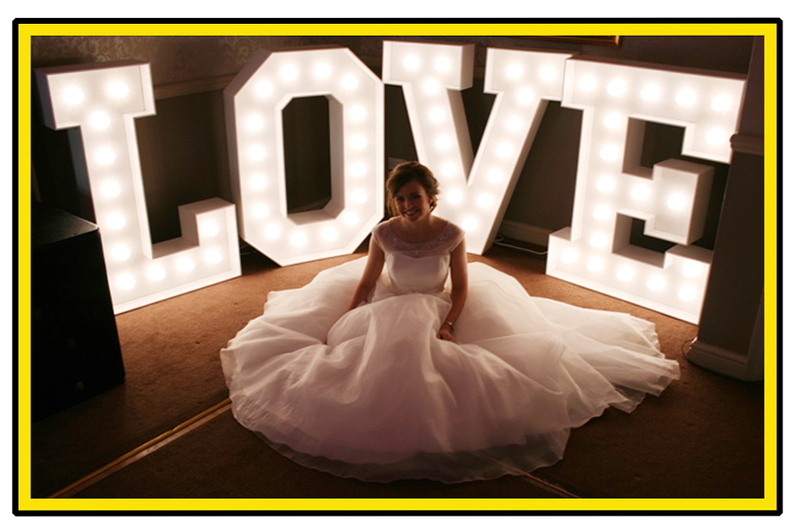 Our giant illuminated ‘Love Letters’ are perfect for any wedding and standing at an impressive 4 feet tall and the bright, safe LED light bulbs are completely safe around children. Our ‘Love Letters’ are sure to catch everybody’s eye and will offer a fabulous photo opportunity for you and your guests.